Quirky Jessi: Quirky snow creations - Let it snow, let it snow, let it snow! Quirky snow creations - Let it snow, let it snow, let it snow! And then, let it snow some more because if you want to make your own snow man like the one above, you'll need your fair share! 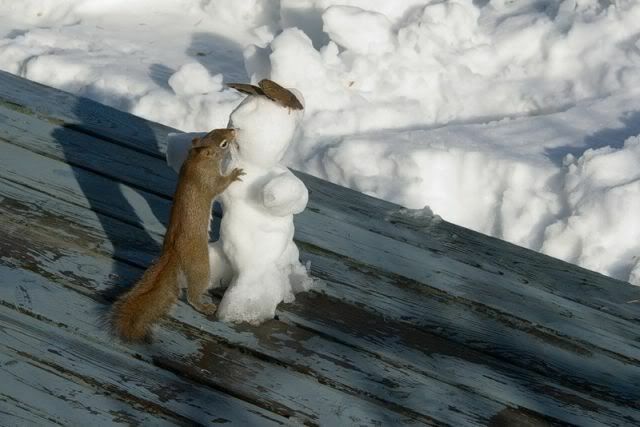 Awww, the squirrel has a pint-size companion! Nice snowmen! 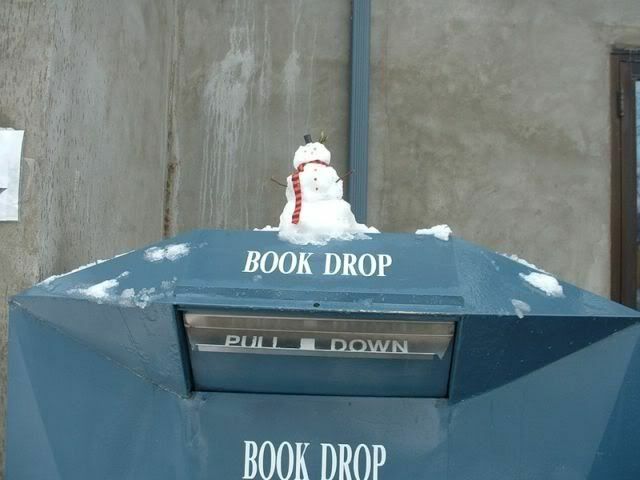 You don't see many snowwomen, do you? Awe.. Love the one with the squirrel. We have dry snow, not so good for making snowmen. :( That and it's been bitterly cold. And I can only imagine what their yard looked like once it warmed up after that first one. Wow. 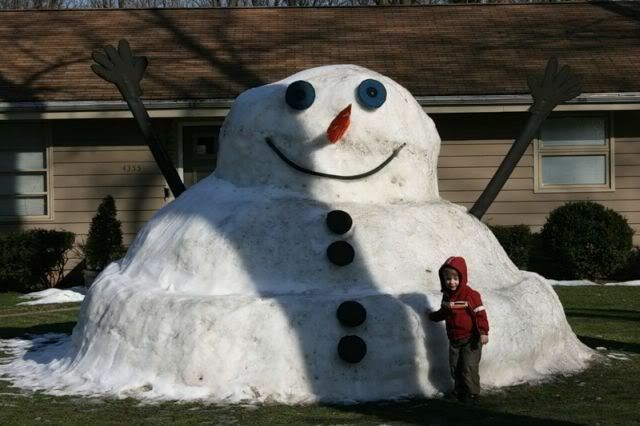 That first snowman is something we will NEVER be able to build in TN!